This automotive mecca exhibits over 120 cars ranging from 1894 to 1999 and automotive displays on three floors. 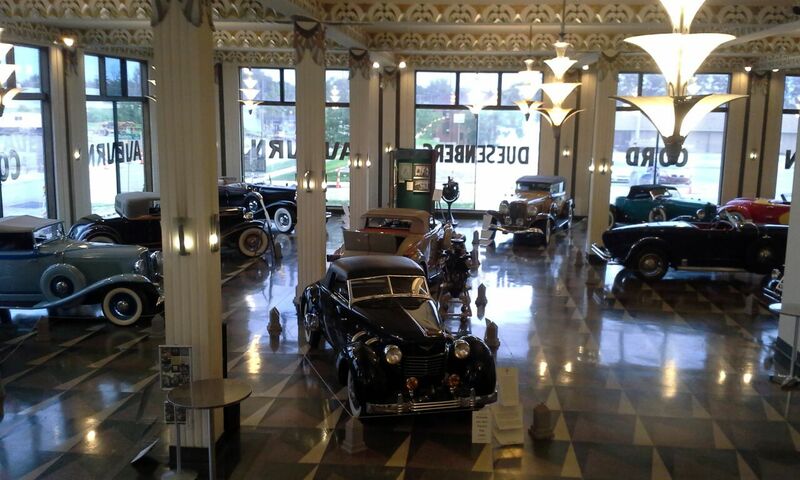 The museum has the greatest and most extensive collection of Auburn Cord and Duesenberg automobile in the world. Experience the passion from this great era as you step back through time. Walk the same hallways as the automotive giants of yesterday, and you get the impression of what a day at the Auburn Automobile Company must have been like in the early 1930’s. The museum has an ongoing schedule of special programming for a more in-depth look at the history, people and cars of the Auburn Automobile Company. Click here for details. Click here to view preview video of museum. The Auburn Cord Duesenberg Automobile Museum is proud to support our Nation's active duty military and their families by being a Blue Star Museum participant. Thank you for your service!